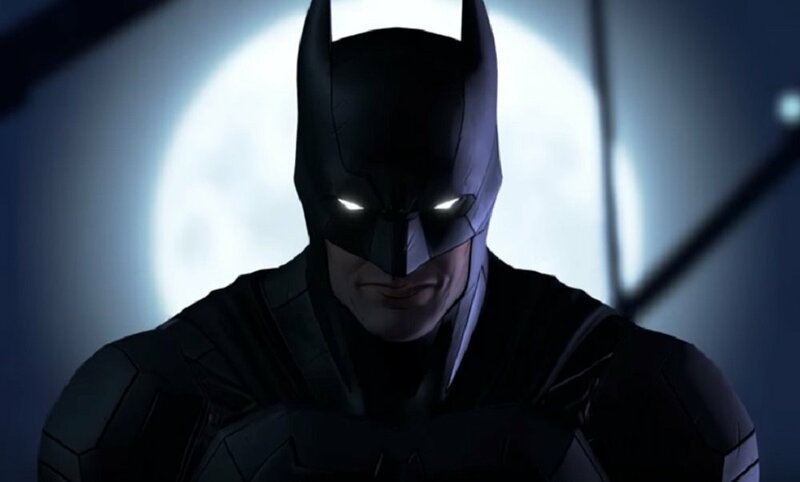 Despite getting off to a promising start, Season Two of Telltale Games' take on The Dark Knight has stumbled. With only five episodes to Tell said Tale, the story has become overbooked, with too many characters all jostling for screen-time in an effort to build an emotional connection with the player. This is not to mention the sporadic technical issues that have befallen the series, with hard crashes, animation freezes, and texture pop-in issues troubling some players in the past. However, there are still two episodes of The Enemy Within remaining and, in its favour, some great work has been done in building the shaky relationship between not only Bruce Wayne and his smiley pal John Doe, but also between Bruce Wayne and his own conscience. 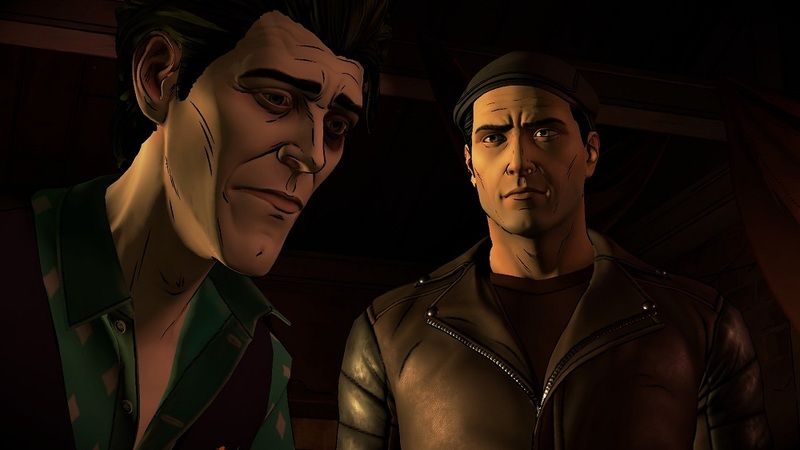 Even with the series' plotting problems, and a few less-than-magnetic performances, Telltale still has time to pull all the narrative threads together to deliver a superb finale. After the deadly cliffhanger faced by yer boy Bruce at the end of Episode Three, I was fortunately able to overcome disaster with a couple of button presses within the first ten seconds. That's that, I suppose, a somewhat iconic element of Telltale Games, in which something of seemingly huge significance is actually pretty ancillary once the curtain is pulled back. But, this isn't a time to complain, as Episode 4: What Ails You, quickly rose to the occasion thereafter, opening up with the game's best action sequence to date. His intentions exposed, Wayne finally re-dons the batsuit to head off Harley Quinn's gang of rouges "The Pact." This leads to an almighty brawl which may have thinned out the cast a little, hopefully providing tighter focus on less faces for the rest of the season. After this rollicking punch-up, accompanied by full revelations on The Pact's motives, it's back to the world of tricky conversations and divided loyalties. What Ails You makes strong efforts to build up its preliminary cast, and Wayne's allegiance with each, giving the player less "fence-sitting" options. The finale is approaching, folks, it's time to draw your line in the sand. Like a broken record, I will sing the praises of Anthony Ingruber's John Doe. In all four episodes, the best scenes have always, always been the conversations between Doe and Wayne, with the player repeatedly questioned about the faith they are willing to put into the sad, potentially-dangerous, but seemingly well-meant chum. Scenes in What Ails You push this crucial relationship to the absolute limit, and I surprised even myself with the choices I made about the dang fool. The main story thread is also accelerating forward, with a hilarious scene of exposition where Bruce and a friend literally explain events to date and a variety of possible outcomes. Despite that cheese, I did enjoy Episode Four's dialogue, and a heavily-reduced appearance by the conceptually great, but dramatically bad Harley Quinn opens the floor for other players to build character. 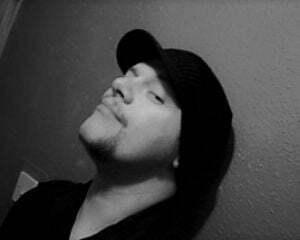 It's not all ghastly red smiles, however. The sickly Alfred and the consistently ignored Tiffany Fox both, once again, drop into the episode seemingly out of a batcopter. Fox's role in particular has been so incongruous so far that she turns up in locations as if the team suddenly realised that they forgot to write the poor gal in. On a technical level, I didn't have as many frame-rate or pop-in issues, but the game did crash to desktop once during its opening scene. WayneTech it ain't. What Ails You is the best episode of The Enemy Within since the season opener. After setting the player up with brutal, cathartic violence, the story trims away some (but not all) of its fat to focus on Bruce, his friends, enemies, and the pesky troublemakers who can't seem to rest on either side. 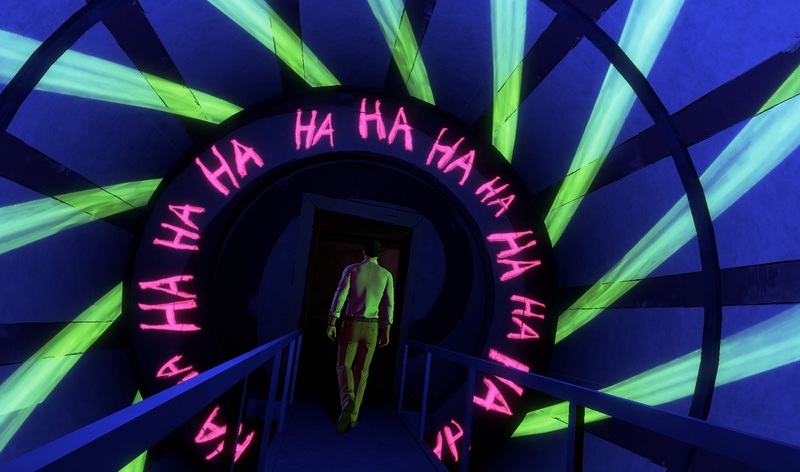 There's nothing here that'll change the opinions of Telltale naysayers, but Episode Four at least succeeds in preparing the stage for what could prove an exciting, shocking, perhaps even regret-filled climax.